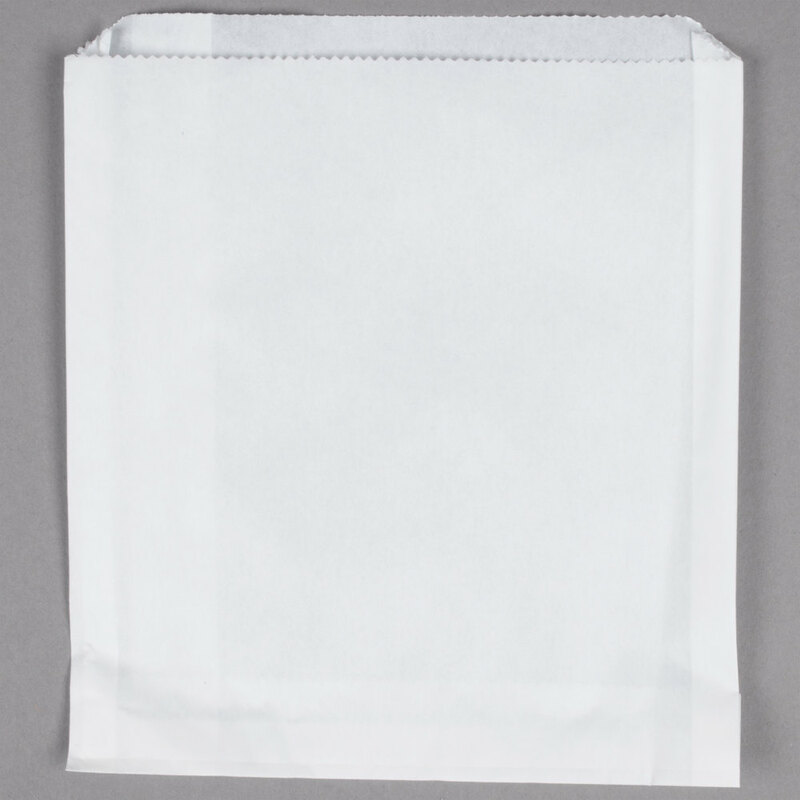 Serve hot, fried foods at your carnival, concession stand, food truck, or fast food restaurant with this Carnival King 6" x 3/4" x 6 1/2" french fry bag. From greasy mozzarella sticks and hash browns to fresh french fries or gooey chocolate chip cookies, this bag has your needs covered! Made of dry wax-coated, grease-resistant paper, this durable bag keeps any grease, sugar, salt, melted chocolate, or other messes inside the bag and not on customers' hands. This bag's large size and 3/4" gusset allows you to stuff this bag full of fries or other foods! Plus, the non-printed design creates a clean and simple food presentation that is perfect for any venue. Each bag includes an off-centered seam providing optimum stability and ensuring your bag will not sag in the middle. Meanwhile, the bag's upper lip extends beyond its opening. This lip helps your staff easily separate individual bags from a stack and then fill them effortlessly. It also enables you to sit a filled bag, on its side, without making contact with the countertops. You can showcase pre-wrapped confectioneries or cookies this way! Furthermore, you can reheat foods without removing them from the bag, as it is steamer and microwave safe. With this Carnival King extra large fry bag, serving your most popular on-the-go fare is always a breeze.